Moving can be exciting, and it can also be scary. It can be smooth sailing or so wrought with silly (or serious) issues that your cat peeing in the box of towels because you haven't unpacked his cat dish yet sends you into the kind of rolling-on-the-ground, slapping-your-leg, crying-big-fat-tears laughter that makes your family wonder if you need medical intervention. And that's just the beginning of the adventure. In the first year in a new home, you'll likely experience the full spectrum of human emotions, sometimes in the span of a few minutes. And while you can't know everything that's going to happen, you can prepare yourself for some of the inevitabilities, of both the good and not-so-good variety. It could just be a sprinkler head or it could be your air conditioning unit in the heat of summer, but knowing that something will eventually break in the house is the best reason of all to be proactive. Being able to quickly deal with a leaking water heater or a roof that's been damaged in a hail storm is key to minimizing the damage to your finances, and your sanity. Saving your money -"Owning a house doesn't change the rule of thumb that it's wise to have approximately six months' worth of income in a rainy day fund, and more experts are now recommending that you build up nine months to a year," said Zacks Investment Research. "What changes is the amount of your monthly expenses that will be consumed if you need to tap into the fund. If your mortgage, tax, insurance, utilities and other payments rise with a new mortgage, you could use your savings up more quickly. With this in mind, if you were saving less than the guideline, intending to tighten your belt, the increased bills that come with homeownership makes skimping on your rainy day fund a dangerous business." Knowing where everything is located - You don't want to get caught in an emergency situation and be scrambling around trying to figure out how to shut off your gas. Finding a trustworthy handyman - Unless someone in the house is handy, and actually does the stuff they say they are going to do in a timely manner, you'll want to find a handyman. Having someone you can call in a pinch to repair the doggy door or the garage door opener or add a ceiling fan to a room that stays five degrees warmer than the rest of the house is clutch. Next Door is a great place to find a handyman, as well as a babysitter, dog walker, and lost cat. Getting a warranty - In many cases, you can buy a home warranty after you've purchased your home. If you have an older home, are someone who could be sunk by a broken air conditioning unit that costs several thousands of dollars to repair or replace, or just want to make sure you're covered for all those things that could bust, a warranty might be a good thing to consider. "A home warranty is a contract between a homeowner and a home warranty company that provides for discounted repair and replacement service on a home's major components, such as the furnace, air conditioning, plumbing and electrical system," said Investopedia. "A home warranty may also cover major appliances such as washers and dryers, refrigerators and swimming pools. Most plans have a basic component that provides all homeowners who purchase a policy with certain coverages. Homeowners can also purchase one or more optional components that provide additional coverage at additional cost." Expect to see a full mailbox for months after you move. A lot of it will be junk, but there will also be some valuable stuff in there, like coupons from local stores that can save you money on furniture and housewares. Don't forget to also take advantage of the coupons that are part of the U.S. Postal Services change of address package. You'll probably also get some refinancing offers. If your home happens to gain equity during the first year and rates dip, you might be able to refi and lower your payment. Unless you're a total hermit who never exits the house even to take a walk, get the mail, or water the flowers, you're bound to make some new friends in your new neighborhood. Maybe even lifelong friends. But, if anyone in the household is nervous about this aspect of moving, there are ways to increase the friendship-making quotient for kids, and adults. That ugly floor and those outdated countertops are just staring at you, taunting you, even. When you just can't take it one more minute, consider this: You don't have to shell out a bunch of cash for them. Use interest-free credit at Home Depot or Lowe's and you can break up the spend into manageable monthly payments over a period of time. Just make sure to make your payments by the due date every month. Missing one, being late, or not paying the minimum due for even one month will void your agreement and add a whole bunch of interest to your total. Need furniture or electronics more than you need floors? Lots of stores like Rooms To Go and Best Buy offer the same type of interest-free deal. Unless you've bought a brand-new home, there are a few things you're going to want to change, beyond furniture and furnishings. It may just be carpet in the bedrooms and a splash of new paint, or it might be ripping out your entire kitchen. Budget concerns will probably keep the renovations in check for many people. But you'll also want to assess the return on investment for the renovations you have in mind. 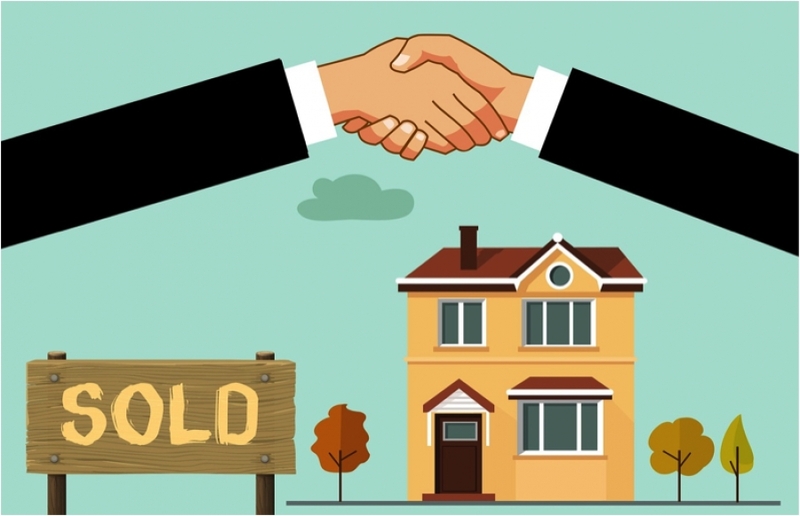 Even if you're not planning to turn around and sell your home in a year or two, knowing that the updates you make are valuable and will be a good investment is always important. Remodeling Magazine's Cost vs. Value Report is a great guide to see which items pay you back. This ties back to the saving your money thing, because there will always be stuff that needs to be fixed and updated. But there will undoubtedly also be surprising costs. For instance, if you're going up in square footage, you may not have considered the extra heating and cooling costs. 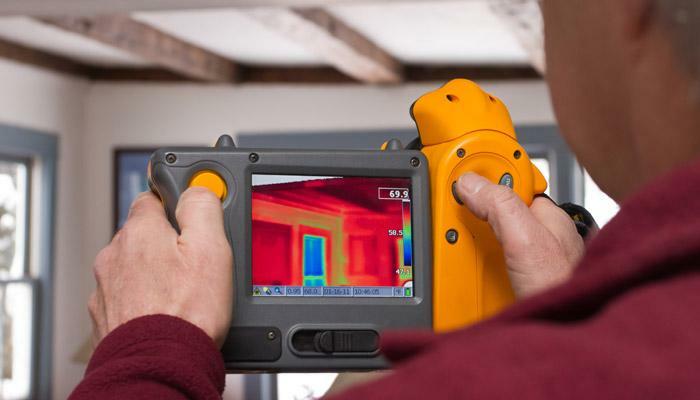 Do an energy audit -"A home energy audit, also known as a home energy assessment, is the first step to assess how much energy your home consumes and to evaluate what measures you can take to make your home more energy efficient. An assessment will show you problems that may, when corrected, save you significant amounts of money over time," said Energy.gov. "Items shown here include checking for leaks, examining insulation, inspecting the furnace and ductwork, performing a blower door test and using an infrared camera." Research utility options - In many cities, you have options for your energy providers, and some may cost significantly less than the traditional providers you've gone with in the past. Be sure to check out solar options, too, especially if you're interested in green living. The newest advancements in solar energy for residential homes make it possible to use the sun's energy without having to purchase expensive systems and pay thousands of dollars upfront. Check out alternative credit cards - If you're looking for creative ways to save money, check that junk mail again. There may be some valuable credit card offers in there with lower interest rates or an interest-free balance transfer option. You probably weren't thinking about cleaning out your ducts when you were envisioning your new life in your new home. But you probably won't know how long it's been since the last cleaning, and dirty ducks can can cost you money if you're HVAC system isn't running efficiently. Thet can also be dangerous because of the accumulation of dust and dirt inside. Poor indoor air quality can worsen allergies and asthma. A clogged dryer vent can also cost you money because it makes your dryer work harder. But, more importantly, it can be dangerous and even deadly. "Lint is highly flammable and can pose a severe fire hazard when dryer vents are not cleaned regularly and properly," said Barineau Heating and Air Conditioning. "According to the U.S. Fire Administration's National Fire Data Center, clothes dryers are responsible for more than 15,000 structure fires around the country each year, and 80 percent of those fires start with clogged dryer vents." Because batteries only die at 3am. Every. Single. Time. You can avoid this nuisance and keep your family safe by changing your batteries when you first move in. While you're at it, change your filters, which will help your HVAC to work more efficiently.